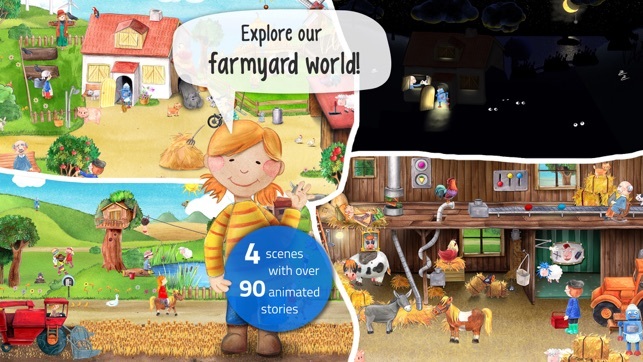 You in the farmyard: animals, tractors and lots of adventures. 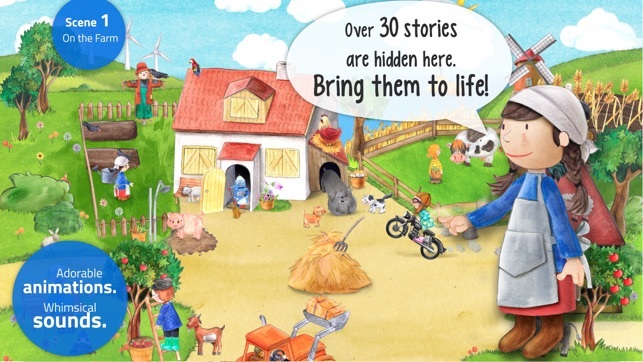 Explore life in the country in our hidden object game with over 90 interactive stories, funny sounds and loads of fun! 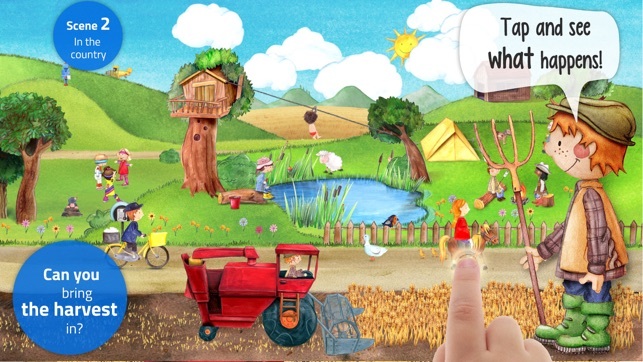 ▶ Our amazing Toddlers Seek & Find apps have already been downloaded over 4 million times. 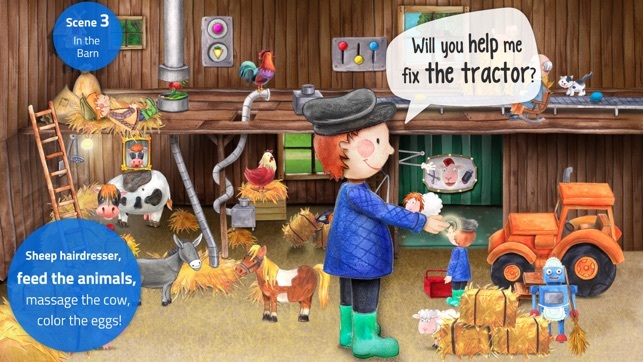 ▶ Kids ages 2-6 get an entertaining and playful glimpse into the thrilling world of the farmyard and country living. With real interactive adventures! Help the farmer plant the beets. Give the piglet a little shower! The proud rooster watches over everyone. Let the boys in the treehouse slide down the flying fox. Find out why the sheep is so funny. Ride the pony: walk, trot or canter! Give the sheep the funniest haircuts! Paint the eggs with your favorite color. Help the farm fix the tractor. Now the moon is out. But what's happening behind the doors and windows of the old homestead? Find out! • So many adorable stories on the theme of farmyards and country life. • Why is Granny rattling around on the scooter? • Why is the goat grabbing all the apples? • What does the cow like to eat? • Play with the children by the lake! 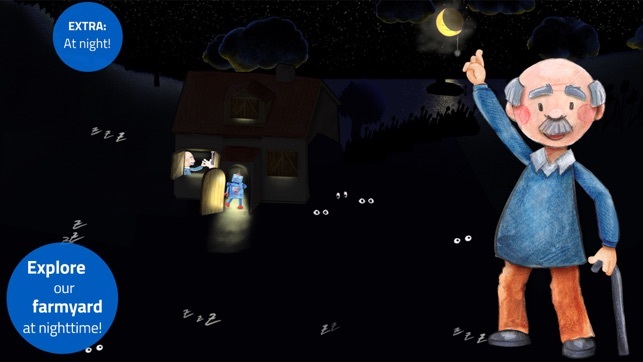 • Why has the fisher caught a shoe? • What's the robot doing in the barn? 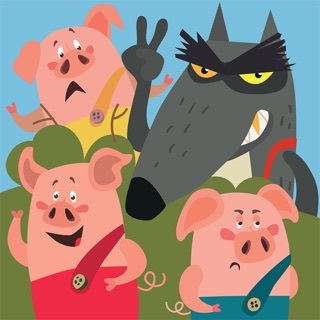 Complete tasks in every scence, find out why the sheep and the pig are such close friends and dive into our adorable farmyard world together! My 2 yo loves it! Great entertainment. I only wish it had a few voice sounds. Some elements could be bigger. Other than that, perfect. I love this, and play it myself when no one is looking!